I never really had any problems with my skin until last year when I broke out on my chin and jawline with mild acne. I had a lot of pimples and whiteheads, but thankfully no cysts, however my skin was still a spotty red mess. I went to my GP who prescribed me Duac Once Daily Gel, which cleared me in about a month. I was happy. I still had the occasional break out and whiteheads but generally my skin was fine, a little uneven but fine. So I stopped with the Duac and went about life. On a few occasions when I did have break outs, I asked my GP for Duac and that generally did the job. Fast forward to August 2013. My skin is starting to become very uneven, lots of whiteheads and a few pimples were beginning to emerge. At this time I had also booked into get the contraceptive implant (implanon) fitted. I was beginning to worry about my skin and told my Dr it was acting up a little, but she said to use a good cleanser as well as the Duac and I should be okay. She also stated the my implant could worsen the state of my skin. This worried me, but I thought the Duac would begin to heal my skin and hopefully prevent that from happening. It did not prevent it from happening at all. Suddenly, I began to break out all over my cheeks, chin and jawline. I had whiteheads, pimples and even some cysts which hurt badly. My face was so red and scaly and painful and full of acne, I was devastated. I kept going with the Duac, but it wasn't enough. I eventually moved onto using TCP lotion, which helped to keep it at bay but did not get rid of any of the acne. So I called the Dr to book an appointment but as they were full for the next two weeks, the receptionist advised a telephone consultation with another GP. When he called I explained the state of my face, the implant etc. and he suggested that I go on Zineryt, the topical antibiotic medication. If this did not work he suggested an oral antibiotic. He asked me to come and pick it up right away, which I did. I've been using Zineryt for about 2-3 weeks now and I am very happy with the results. One side of my face is clear and the other still sadly has a few pimples but it is a 95% better than it was. The only thing that my skin has badly is dark hyperpigmentation or purple acne marks. But I have saw them fade over the last few days and I know they take a while to go, so I am waiting patiently. I am just happy the actual acne itself is almost gone. It's nothing a little make-up won't cover. However despite the great results, I've been doing my research and found that Zineryt seems to be a successful remedy until you stop using Zineryt. I have heard that people's acne has actually came back and gotten worse after they've stopped using it. And because of the antibiotic in the medication, the bacteria becomes resistant to the Zineryt meaning it cannot cure again. I am so afraid of this happening to me. I need to know more information from people who have used Zineryt and their experiences. I know it varies from person to person though. There are some posts on acne.org but they're years old, I want to hear from people who may be in the same situation as I and are using topic antibiotic treatments or even oral antibiotics. What are your experiences? Yep, it comes back. You are a afraid ? lol. It`s better to be on roaccutane and end up in a mental hospital or with your liver destroyed ? no. I use zynerit since ages, one time per day after I wash my face clean with super cold water. It works wonders, but if you stop it, acne might come back. Remember, acne is internal not external. This isn't what you want to hear but, it may come back yes. That's how it is with any acne medication besides accutane. Even that's iffy, I broke out after my accutane course and thats the closest you get to a "cure". Anyways the key to this questions is Zineryt is a treatment not a cure. It will treat the condition until your off it. Most acne is caused by a internal cause. Unless your acne was a reaction to your environment or a bacterial infection or a reaction to a medication it's not likey to stop. Unless you fix the internal issue. This is true with antibiotic pills and or creams and topicals. 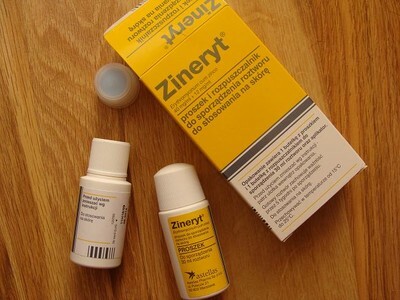 i used zineryt for a while when i was 15, it was amazing cleared all my acne up. now at 22 its back worse than ever. I tried zineryt but i think my body became immune to it, because its not been working.